There is a seat for you at Chabad's Passover Seder ! Sitting around a beautifully set table, surrounded by friends, upbeat atmosphere, great food and lots of fun surprises - that basically sums up the Seders at Chabad. 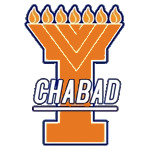 Join the largest seder in Champaign-Urbana. Experience the freedom with gourmet foods and fine wines. Experience the message with spirited singing, questions, surprises and fun! All the same freedom, food, messages and fun as seder number one, in a more intimate, round-table setting. Our Passover budget is over $54,000, become a partner. No one will be turned away due to lack of funds. Please contact our office at donna@jewishillini.com for details.